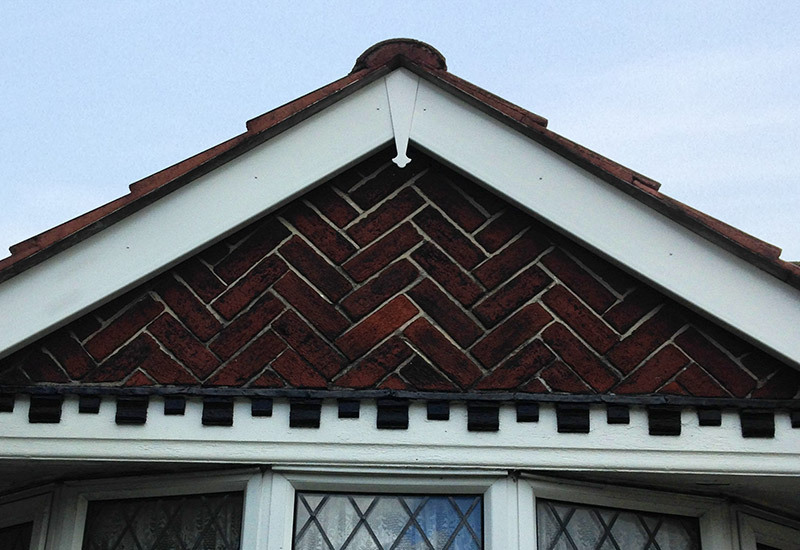 Guttering, fascias and soffits (roofline) form an integral part of your roof. It is vital that gutters are kept cleaned and maintained as they divert a tremendous amount of rainwater and neglect can lead to costly problems. We can clean, repair or replace all areas of your roof line to keep things flowing smoothly ! Full roofline re-cladding can transfom a tired looking property frontage and give the whole place a lift. As you can see in our pictures ! For more information about this service please contact us via our contact page. 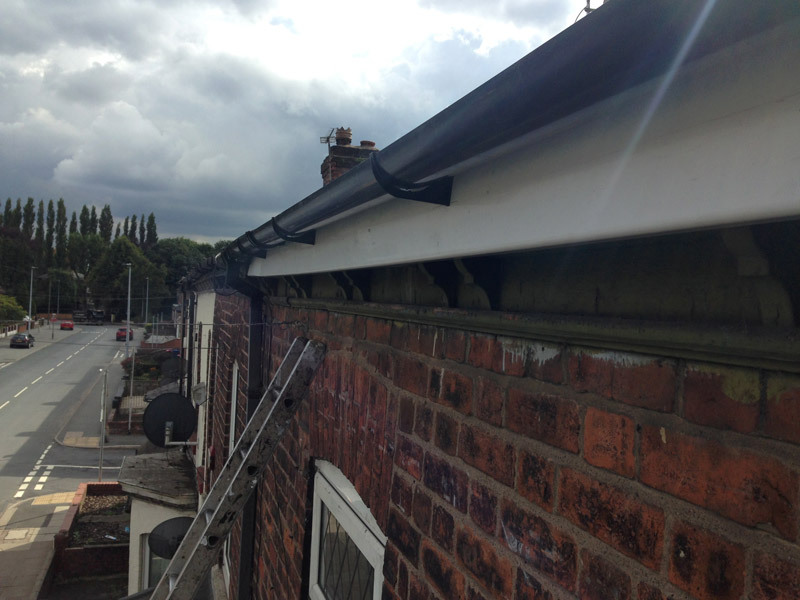 Great job made of cast iron gutter repair, i was even shown photos of problem and completed work. We offer every type of roof repair from broken tiles to lead work on all roof types. 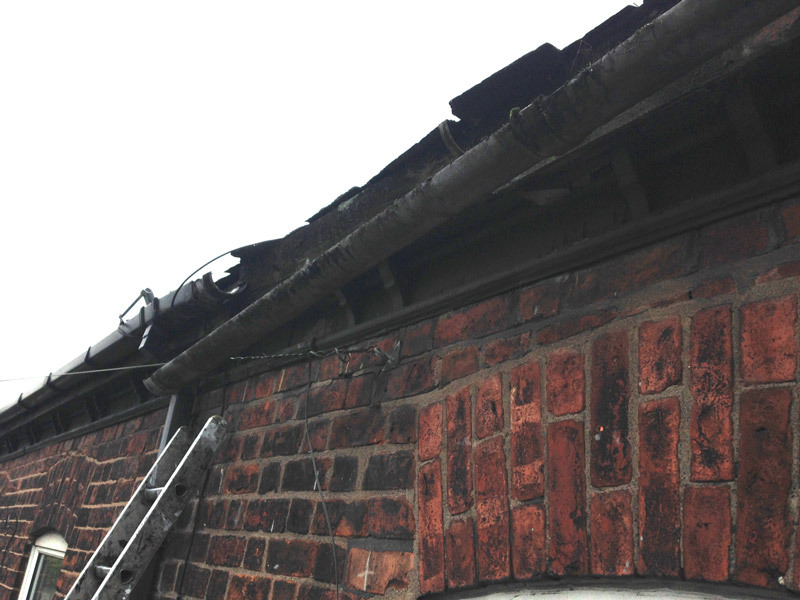 See our Roof repair page for more information or get in touch via our Contact Page. Renown have unrivaled experience in tile and slate re-roofing. Give us a call or contact us to discuss options. We use only the best materials on flat roofs to ensure an installation that will stand up to the harshest conditions. Call us or use our contact form for a free site visit and estimate. Unprotected and unmaintained chimney stacks offer an open path to rainwater but we can help. Visit our Chimney Stack page to find out more. in addition to our roofing services we also offer a full property maintenance service. See our Property Maintenance page for more information.